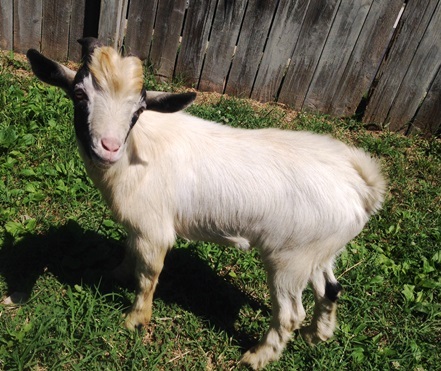 The Washington Humane Society picked up an unusual animal Wednesday, Aug. 15: A pygmy goat. WASHINGTON — The Washington Humane Society picked up an unusual animal Wednesday, Aug. 15: A pygmy goat. Initially spotted by D.C. police near V Street NE between 31st and 33rd streets, WHS says officers managed to corral him into a vehicle maintenance facility. It was there that WHS animal control officer Beth Phillips leashed him and placed him in her van. Now affectionately called Billy, the goat spent his first few days at the New York Avenue center. Now, he has a new home at Poplar Spring Animal Sanctuary in Poolesville, Maryland. In his new home, Billy has the company of other WHS rescues invluding a pig and a Rooster.